A classic choice for the home and office, Shadow Curtains blinds are an attractive and affordable option for your window coverings. These shades hang very easy, making them elegant and very easy to operate. You can also choose from a range of materials and treatments for these blinds including a solar protective backing. With their 15 years of wide expertise Shadow Curtains and Blinds' Share Partners has finally established the company in 2006, today Shadow Curtains and Blinds are a leading manufacturer, supplier and installer of commercial solar shading solutions and curtains for use in all types of commercial and public buildings. The services provided to customers by Shadow Curtains and Blinds are from planning, innovating and manufacturing to installing. Product range includes shading solution of all types including office blinds, Roller Blinds, Vertical Blinds, Venetian Blinds, Blackout Blinds, Rooflight Blinds and our special Zebra Blinds, suitable for multi occupancy buildings, schools, hospitals and offices to name but a few. We provide custom designed light solutions in prestigious residential developments, commercial interiors and public sector organisations throughout the UK. We work with architects, engineers, interior designers, contractors and end users to provide the perfect light control and solar shading solution in each situation. Working close with the client we make sure the most appropriate solutions can be provided based on the project requirements, site conditions and budgets as well as shading products are installed on time. · Visual comfort with limiting the disruption caused by light, preserving eyesight, etc. Quality is important to our business because we value our customers. We are committed to continuous improvement and have established a Quality Management System which provides a framework for measuring and improving our performance. "To supply clients with the highest quality blinds, curtains, furniture and soft furnishing in the most cost efficient way". Shadow Curtains and Blinds provide expertise in dealing with all kinds of projects the aim of our company is to exceed expectations and constantly propose new ideas followed by outstanding contemporary functional products to the UK Market. On every Project we undertake, we make sure our Clients has one point of contact, one Project Manager, to meet all requirements of our Client and coordinate technical, manufacturing and installation teams for a smooth Project Management. With a highly skilled team, you can rely on Shadow Curtains and Blinds to bring a perfect blend of quality and durability to your project regardless of complexity or intricacy. Get in touch with one of our friendly sales team for advice and guidance on solving your problem. 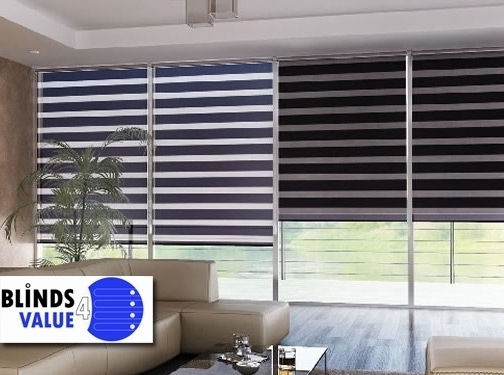 London"s leading blind and curtain manufacturer and installer, Shadow Curtains and Blinds. Complete local measuring & fitting service in North London, Central London, East London, South London and Docklands. Apart from London main service area, Shadow also provides Contractual or single Project base services for all around UK and Europe. Email us for any kind of project we will be looking forward to hearing from all of you. UK (London) based business providing a range of blinds for sale. Website includes e-commerce facilities, delivery and returns information, terms and conditions, full contact details including company registration number.